My Bucket List – A Mix Of Fun & Fulfillment. Hospital is a good place to think, well maybe not a good place to think, but none the less, a place that gives you plenty of time to think. Last month gave me a trip to emergency, some surgery and a week in the hospital, during which I had little else to do but think, plan and dream. One thing that was running around my mind and simmering away ever since, was different things, people and places that I would really like to photograph. The list varies from all ready booked in to do, to the far off only in my dreams type idea. This no doubt is a list that will continue to change and morph on a continuous basis, and as a photographer, I think this is a good thing. If this list doesn’t regularly change, then I am starting to stagnate as a photographer, or not learning and experiencing enough about the world around me! The Democratic Republic of Congo – This is a trip that I have booked in to go in June. I never knew much about the Congo, but now have the opportunity to go and document the on-going issues in the region as part of a feature length documentary. I’ve recently written about this, check it out here. Aside from the problems facing the DR Congo, it is blessed with the 2nd largest Rainforest in the world after the Amazon, 5 of its national parks are listed as world heritage sites and include many rare and endemic species, such as the common chimpanzee and the bonobo, the African forest elephant, mountain gorilla, okapi and white rhino. Nenets – The Nenets are an indigenous people in northern arctic Russia. They are a nomadic eople, who are one of the last proponents of reindeer herding. The Nenets migrate yearly, moving huge herds of reindeer from summer pastures in the North to winter pastures just south of the Arctic Circle a trip of over 1100 kms. Having lived in Russia for 5 years, I have been able to experience some of the Russian way of life, but the Nenets people are different again, and I would love to meet, get to know and travel with such an iconic people group. Experiencing their way of life, seeing what they see, and doing what they do puts this high up on my bucket list. 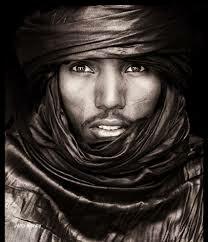 Tuareg & the Sahara – The Tuareg are a Berber people with a traditionally nomadic pastoralist lifestyle. They are the principal inhabitants of the Saharan interior of North Africa. The Sahara has always interested me, and even more so, the people who choose to inhabit and make their life from such an inhospitable land. I would love to get the opportunity to experience this culture. 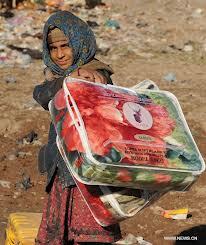 Everyday life and special occasions, cooking and food, clothing, living and musical instruments. The Saharan desert is only behind the Arctic & Antarctic as the largest desert in the world. Its the worlds hottest desert and at over 9,400,000 square kilometres, it covers most of North Africa, making it almost as large as China or the United States. Antarctica & South Georgia Island – Antarctica is the earths most southern continent and is the 5th largest in size. Amazingly about 98% of Antarctica is covered by ice that is at over 1km thick. Photographing the exquisite ice sculptures standing tall and majestic, clear skies reflecting all the mightiness of the mountains in the clear cold water. The albatross, spreading its 12ft wings and gliding over coves full of frolicking penguins and seals. Walking back in time exploring old abandoned towns and settlements, seeing how people managed to live in such a place so long ago. Bird island to the west of South Georgia Island is 4.5km long by 800m wide and is home to approximately 65,000 Antarctic Fur Seals, 50,000 Macaroni Penguins, 15,000 pairs of Black-browed Albatross, 12,000 pairs of Grey-headed Albatross, 1000 pairs of Wandering Albatross and 500 pairs of Southern Giant Petrels – If you can’t get a good bird photo here . . .
Carnival in Brazil – People, dress ups, dancing, costumes, music, fun and crazy . . . . Enough said. 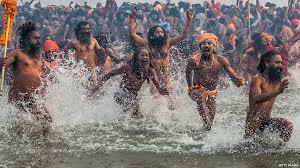 Kumbh Mela – The Kumbh Mela, a mass Hindu pilgrimage, happens every 12 years and in 2001 more than 40 million people attended on the main bathing day, breaking the world record for the largest human gathering in one place. Allahabad a city in northern India at the confluence of the rivers Yamuna, Ganges and the ancient Saraswati plays host to this gargantuan event. For a period of 55 days, over 100 million people are expected to attend. One day, it would be pretty cool to make that 100 million and me with my camera. Afghanistan – its been over 10 years since the war in Afghanistan began. As many countries start their with drawl from combat operations, the Afghan people, once again are left with the task of rebuilding their lives, homes and country. I would love to photograph this process, get to know local people, and show the world how they are adapting, what their struggles are and to get a real picture of what happens to the people who’s lives go on regardless of who or what is running their country. As I mentioned at the start, this is anything but an exhaustive list, I think ill call it my mostly empty Bucket list, it is however a start, and for me its all ways nice to put some of this down on “paper”. Any places or people on my short bucket list that match up with yours? Add a comment and share some of your dream projects and locations! Previous Post Black & White Sunrise – Its More Than The Colours . . .